We aim to welcome customers into our restaurant as we'd welcome them into our own home. 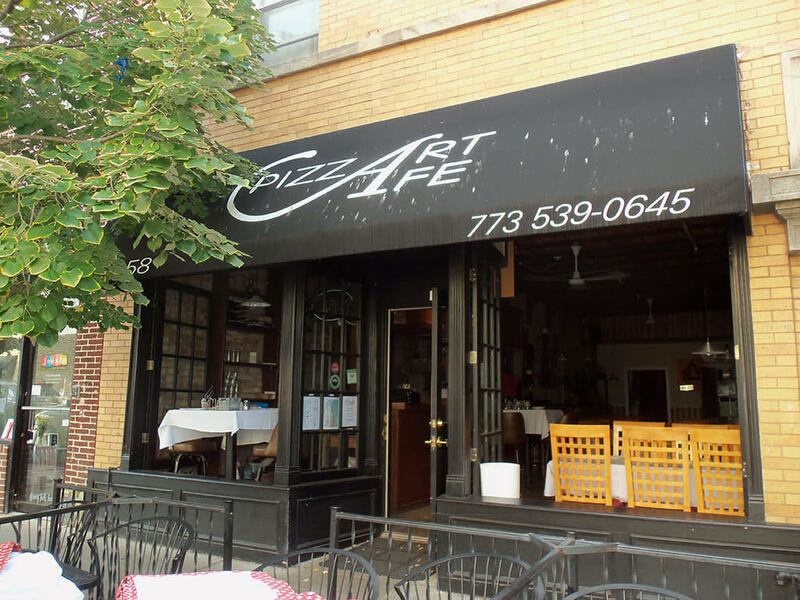 Although the Middle Eastern-pizza duo sounds like an odd combo, owner Jasmin Bekto, a Bosnian native, worked in a pizzeria in Milan before landing in Chicago. The handmade thin crust pies, which take about two minutes to bake in the 800-degree oven, are individual sized (about 12-inches). Pizza choices include the funghi with sliced mushrooms, parsley and garlic, and the Calabrese with tuna, anchovies, olives and extra virgin olive oil. The Middle Eastern offerings include cevapcici, ground beef sausages with pita, onion and feta cheese. Pasta, soups and salads also make the menu.